Front of house showing the side porch steps and horseshoe pit. 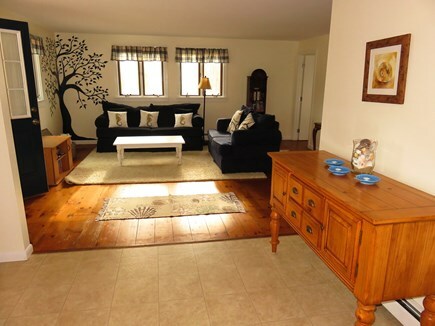 Comfortable living room with 50 inch flat screen smart tv. Queen sized sleeper sofa in living room #2. Open floor plan from living room to kitchen. Large dining table for family gatherings. Modern spacious kitchen with granite countertops. Master bedroom with a beach scene. Full sized bed in bedroom #3 with a picture window. 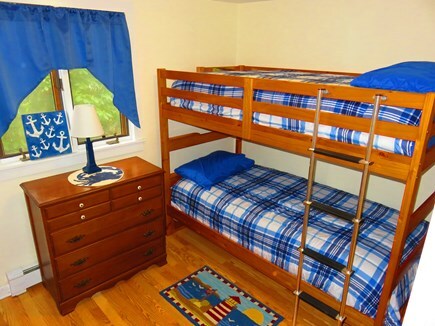 Bunked beds in bedroom #2. Steps up to the back deck from the horseshoe pit. 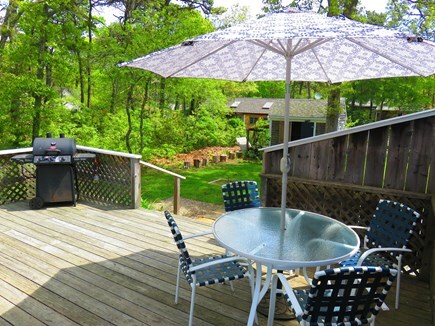 Large private back deck with seating, grill, and outdoor shower. 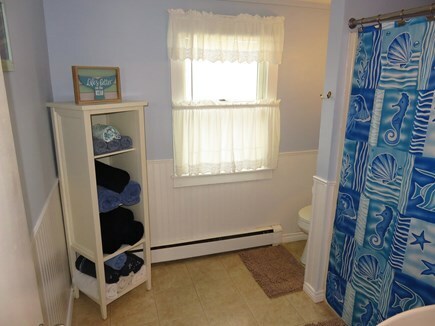 Welcome to your Cape Cod home away from home. 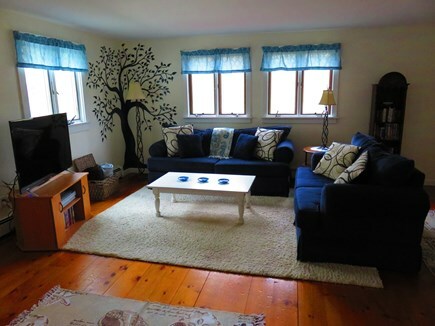 This lovely Cape Cod home is just a short walk to just about everything Eastham has to offer. 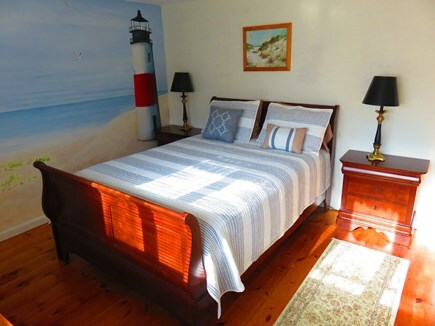 Thumpertown Beach is less than 1/2 mile away, and it’s less than a mile to shops, restaurants, miniature golf, the Cape Cod Rail Trail, freshwater beaches, playgrounds, and so much more. 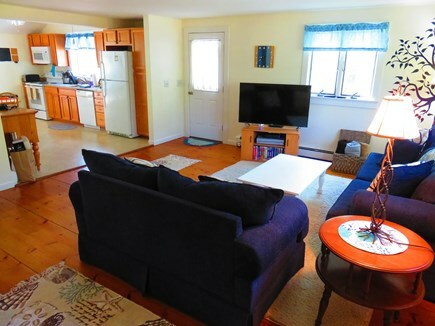 Easily bike to the pristine beaches of the Cape Cod National Seashore just down the road. 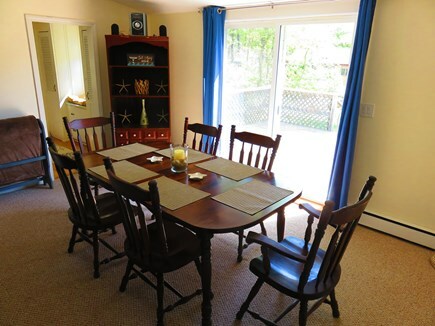 Named The Anchorage, our home is meant to be warm and inviting. 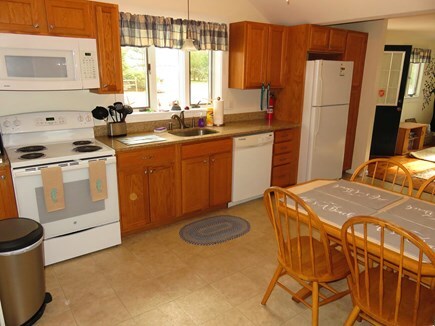 With two comfortable living rooms, spacious kitchen, large dining table, and a flat screen TV so the whole family can be together. 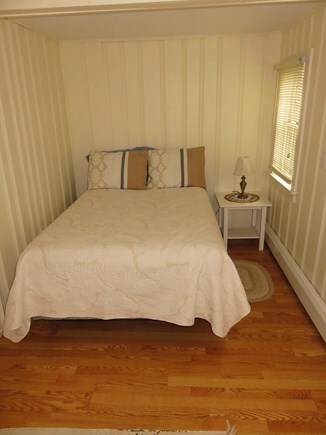 Sleeping arrangements include a queen sized bed in the master bedroom, a queen sized bed in the second bedroom, twin sized bunk beds in the third bedroom, and a queen sized sofa bed in the fireplace room. There is an enclosed private outside shower, a spacious outside deck for dining, and a horseshoe and fire pit ready for you to enjoy. 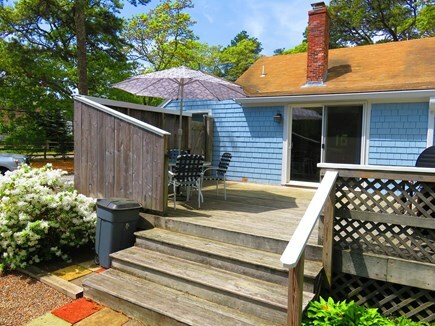 Have a lobster feast on the back deck in true Cape Cod fashion, jump into the outside shower under the stars, or cozy up next to the outdoor fire for some s'mores. 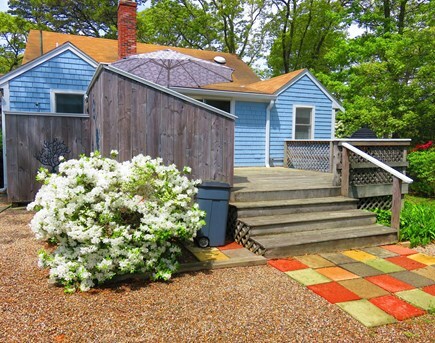 Bring the bikes, beach toys, and bathing suits, and enjoy a great vacation on Cape Cod. We live just down the street and will be available if need be. We are always happy to help, so please don't hesitate to contact us if you need anything. 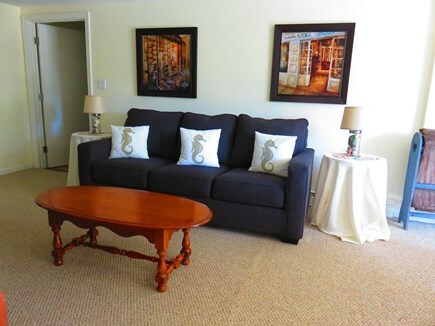 Additional pricing info: $150 Cleaning and linen fee. State and local taxes of 12.45% will apply. Married, adventurous, love trying new things and going to new places. My wife and I love to travel and would love to stay at a place near you. This house is so perfect for families. Right down the street from the beach. Big yard for games with the kids. Fire pit and horseshoes already setup, and an outdoor shower for rinsing off after the beach. It will play a large role in making your family vacation memorable. We have some of the best beaches in the country just down the road. 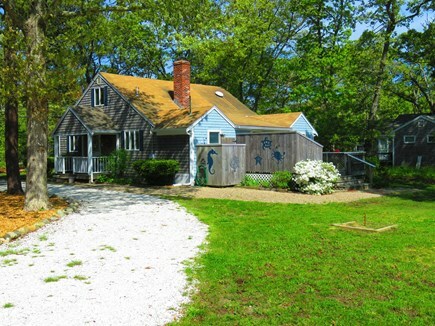 Surfing, fishing, and kayaking are all around you when you stay in the heart of Eastham.